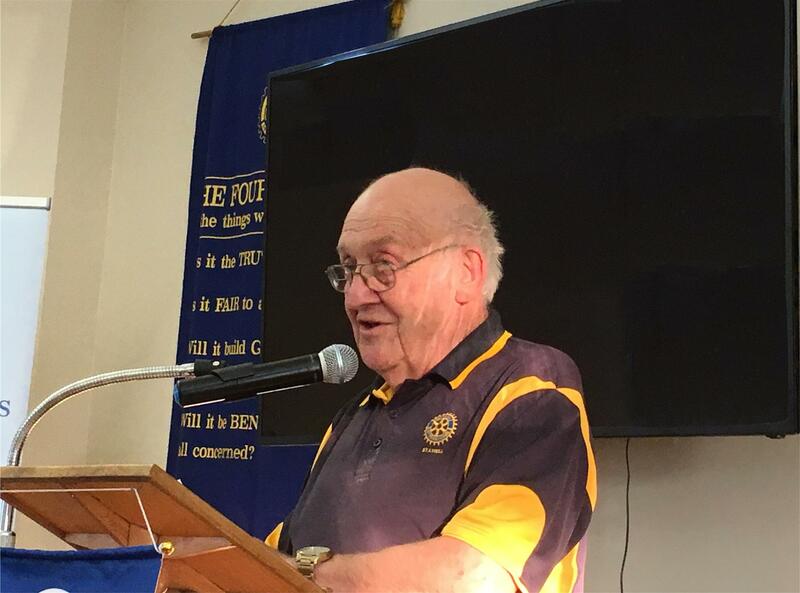 Around 50 members and guests from the four D9780 Group 7 clubs heard reports from each of the Presidents last Thursday. As always, it is great to hear about the different ways each club serves their local community and the wider world. We had hoped to also hear from Nobel Peace prize winner, Dimity Hawkins, but unfortunately she was unable to attend due to illness. Instead, those attending enjoyed two short videos showing Dimity in action, and another one celebrating the reason why Dimity got her award - a world wide treaty to ban nuclear weapons. Pictured are the four presidents: Bo Munro (Ararat), George Kirsanovs (Beaufort), John Launder (Stawell) and Meryl James (Maryborough).